TICKETS: $25 per day – Festival Pass: To all events $75. Free on-site parking. For tickets call 732-229-3166, visit njrep.org, or click here: TICKETS. 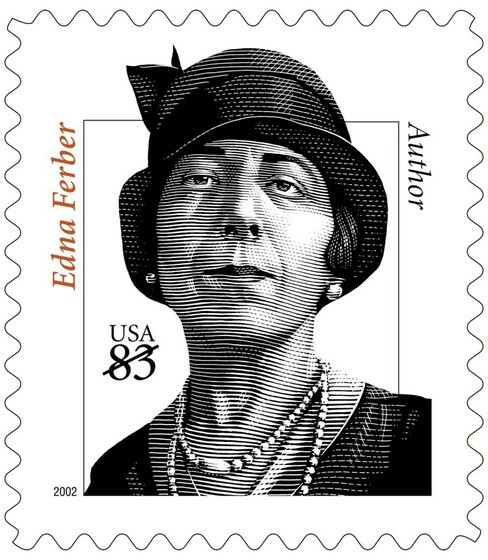 NJ Rep is proud to present a celebration of the works of Edna Ferber including salon readings of 5 brand new one-act plays adapted from Ferber's short stories, a lecture on the story behind Show Boat told by Ferber's great niece and biographer, Julie Gilbert, and a concert reading of Selina Peake written by the Pulitzer prize winning playwright, Horton Foote, based on the Pulitzer prize winning novel, So Big. Thursday, May 31 at 8pm - The Story Behind Show Boat - as told by Ferber’s great niece, Julie Gilbert, who was named after Julie in Show Boat. The novel that was published in 1926 was an immediate best seller, as it quickly followed Ferber’s Pulitzer Prize winning 1924 novel, So Big. The novel of Show Boat was based on research that Ferber did while living on a show boat in North Carolina. It is a considerably darker tale than the groundbreaking 1927 musical conceived by Jerome Kern and Oscar Hammerstein. Ms. Gilbert will navigate through the many differences between the novel and musical. She will also screen scenes from all three film versions: 1927 version, which was a mostly silent film that was closest to the novel; the 1936 version starring Irene Dunne and Paul Robeson and the glossy MGM 1951 version starring Kathryn Grayson, Howard Keel and Ava Gardener. That’s Marriage by Marisa Smith, directed by Michelle Tattenbaum – Orville and Theresa’s marriage is tested at the breakfast table one morning in Ferber’s timeless take on an age-old problem. Can this marriage be saved? And will Theresa ever serve Orville another egg? The Sudden Sixties by D.W. Gregory, directed by Kelly O'Donnell – When Hannah Winter loses her footing in a hotel lobby, the gentleman who helps her up, turns out to be the boyfriend she left behind 40 years earlier. Now, after nearly a lifetime, Hannah is in the mood to rebel. Mother Knows Best by Julie Gilbert, directed by Melanie Sutherland – Fanny Seldon, a domineering mother forces her daughter, Sally, to choose a career over her one chance at love. You’re Not the Type by Julie Weinberg, directed by Melody Brooks. It’s 1940 and the great depression is over, but not for Vivian Lande. After years of starring roles, she desperately seeks her comeback, but even her faithful agent can’t resuscitate her waning career. Every Other Thursday book, music, lyrics by Sheilah Rae and Debra Barsha, musical director Rob Baumgartner, director/choreographer Laura Brandel – The time is 1927, Helmi is a Finnish maid working for the Mawson family of New York’s upper West Side. Her day off is every other Thursday. What she does on every other Thursday is her secret and hers alone, much to the consternation of the people she works for. Sunday, June 3 at 4pm - The festival finale is a concert reading of a three-act play, Selina Peake, based on Ferber’s Pulitzer Prize winning novel, So Big, directed by Lynnette Barkley. This re-discovered, never produced play was written by Pulitzer Prize winning playwright, Horton Foote, and will be heard by audiences for the first time. This one-time reading is presented by permission of the Horton Foote Estate and the Edna Ferber Estate. West End Art Gallery will present Summertime, an exhibit which will encompass the works of seven artists and their interpretation of what summer might be. The work includes contemporary abstract, scupture, mixed media and outsider art. The "Summertime" artists are: Steve Cote, Kathy Dorsey, Myke Karlowksi, Demetrius Patterson, Mike Quan, George Severini and Aria Turner. Admission is free and the works are available to purchase. The show will be available to the public May 30th thru July 6th. Gallery Hours are Saturdays and Sundays noon to 4:30 and weekdays by appointment (732-542-1307). The Gallery Opening & Reception will take place Wednesday, May 30th from 6:00 pm - 9:00 pm. All are welcome.